You need to visit Thailand’s secret island paradise that very few people knew about, until now. 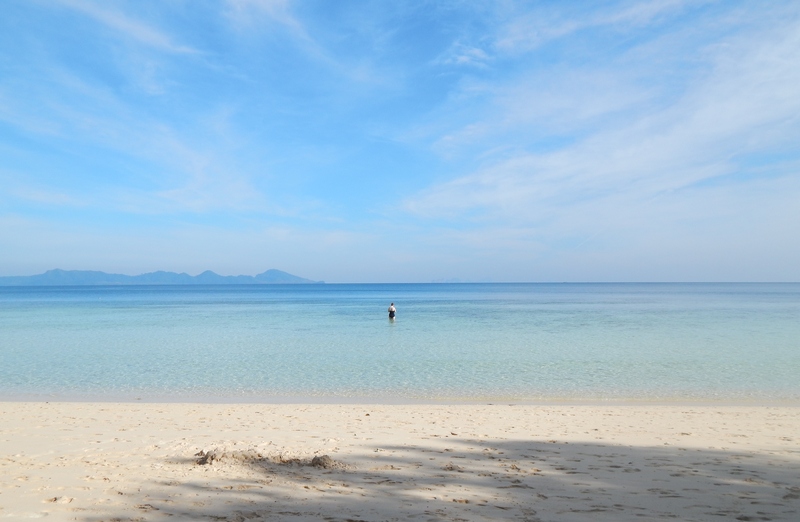 Are you looking for clear blue skies, transparent sea which sparkles in the sun as multi-coloured fish swim by? Where all you can hear is silence apart from the sound of waves lapping against the pure white sand? Welcome to Koh Kradan. There are thousands, literally, of islands in the South of Thailand that tourists and travelers like you and me flock to every year. And for a good reason. The South of Thailand is beautiful with its beaming sun all year around, white sandy beaches, calm seas and tongue tantalizing Thai food. But it is pretty likely that you would have also heard people saying that it has passed its prime. That the beautiful quiet beaches have become commercialized, packed and not like they used to be. Yet I believe there is still one breathtaking island in South of Thailand that very few people know about. I actually found myself guilty writing this post; a selfish part of me wanted to keep this small island my own un-discovered paradise to ensure it doesn’t get ruined like the rest of the islands. But after sharing photos of the island with travelers we met around Thailand, with each and everyone of them staring in awe whilst saying “I have to go there, I never knew it existed!”, I decided to share with my readers what I believe is Thailand’s best kept secret island paradise: Koh Kradan. They say a picture paints a thousand words so I think the best way to show off this island is to show you the photos I took when I was there. And if these photos don’t convince you to pay this island a visit then I don’t know what will. If you are looking for a party island then this is most definitely not it. There are no bars apart from the restaurants at the accommodation and everyone tends to be back in their accommodation by 10pm. But that is the beauty of the place. The tranquility and simpleness of it. And when you have views like this, what more do you need? The sea is so transparent that you can see tropical fish no further out from the beach than a few steps. You don’t even need a snorkel. There are two sides to this small island. The front where the boats come in (and where the photos above were taken) and then the back, where there is a small cove beach called Sunset Beach. It has an amazing sunset view hence the name. I also had the best Thai massage in my life on this island. I mean check this out for a massage with a view. And because this island is simple and less well known, it is more catered for the adventurous backpacker traveler as opposed to the luxurious commercial comfort seeking traveler. This means it isn’t expensive. Food, massages, they are all very reasonably priced. And very very good. The only thing I found a bit hard about this island was how at one with nature it was. Sure this was it’s beauty but also for me, a self confessed city girl, a bit too basic. We found a frog in our bathroom and crazy noises outside our room all night. We didn’t see or hear of anything dangerous and felt safe the whole time, but do be prepared for seeing wildlife on this island. And quite possibly in your room. Plus there are a lot of mosquitoes. So make sure you bring your repellent as well as use the mosquito nets that all the accommodation options offer. Even when you do you are still likely to get bitten, but it didn’t stop this being paradise for me. Where is it? And how do I get there? So I’ve convinced you to visit this hidden gem of an island. Now you are going to need to know how to get there. 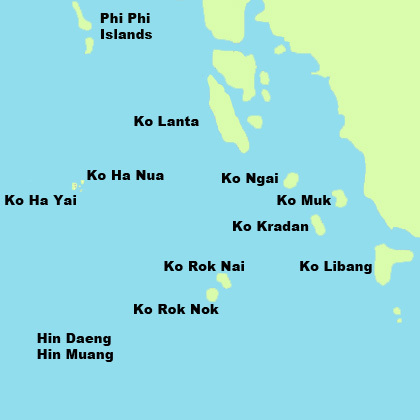 Koh Kradan is part of a set of islands in the Andaman sea. 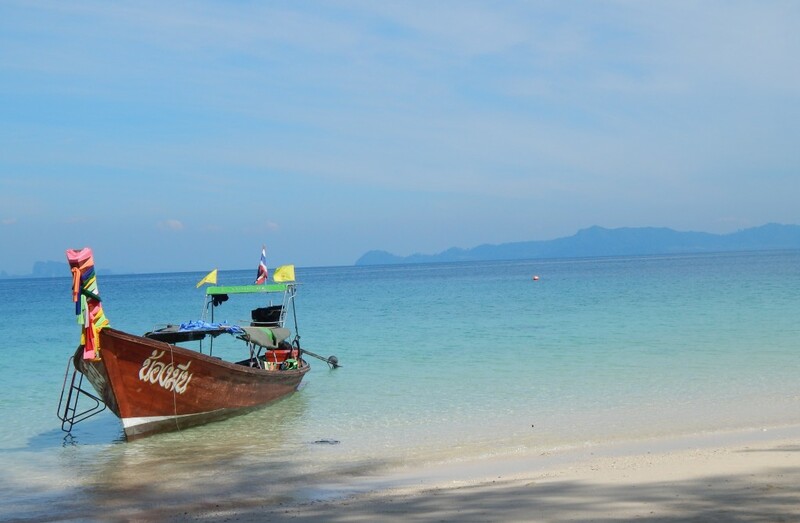 It is next to Koh Mok and a few islands down from Koh Phi Phi and Koh Lipe. All of which are more well known so I have always been surprised that Koh Kradan has escaped attention. You can quite easily travel there from Trang (1 hour) by Tigerline ferry and they have a timetable on their website and online ticket booking. You can also travel by ferry from Phuket but that takes a bit longer (3h 30 mins). There are daily flights from Bangkok and the rest of Thailand to Trang/Phuket on Nok Air and Air Asia. Because of the size of the island (and not wanting to damage the coral) the ferry cannot stop on the beach front and the island has no pier. So a small fishing boat will come to the ferry and take you plus your belongings to the beach. Be aware that you need to pay an extra 200thb or so for this (about £4) which isn’t included in the ferry price. There is no way you can get to the shore line without the boat (unless you swim with your suitcase on your head!) so make sure you have enough cash for this both ways, as well as spending money for the island as there is no ATM there and everything is paid in cash. If you want to visit but don’t want to stay overnight then you could stay on a neighboring more popular island with better facilities and then make a day trip over. The front beach tends to have quite a few day trip boats around lunchtime which come from nearby islands as part of an island hopping tour. But they disappear leaving the beach silent after a couple of hours as they hop onto the next island stop of the day. 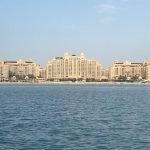 There isn’t a great choice of accommodation options due to it not being so well known. When I went there were about 5 accommodation options in total. I wouldn’t even call them hotels as they are smaller scale than that. The majority of them are rather basic, but recently I hear a few higher end options have been built. We stayed in Paradise Lost (above) which was a set of wooden Robinson Crusoe type huts in a jungle clearing in the middle of the island. This was the only one inland and the rest of the accommodation options tend to be on the beach front. It was the first accommodation on the island and still one of its most popular. An American sailor called Wally discovered this island many years ago and built these huts. He still lives in one of the huts but as he is rather old his Thai wife helps run the accommodation. There are huts with your own bathroom and those with sharing bathrooms which I hear where clean but a bit of a pain when you needed to go to the toilet in the middle of the night! 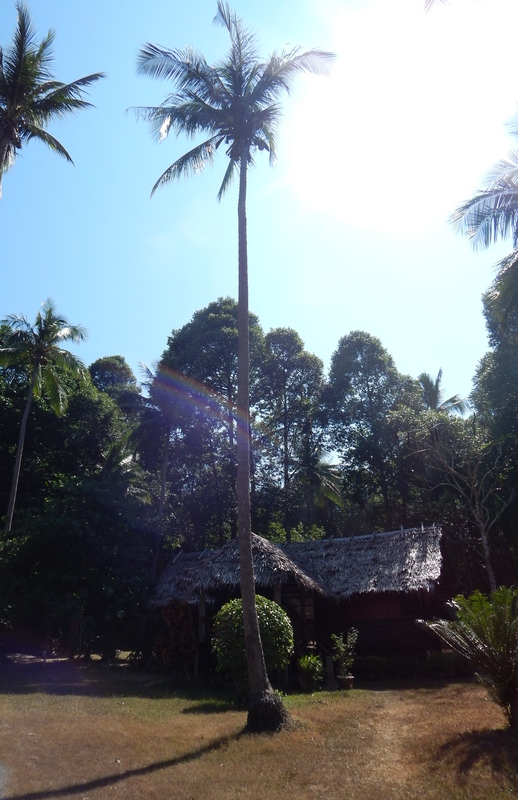 All huts had a fan but no AC, and as its a basic island electricity comes from a rather noisy generator. The huts were very basic inside and I admit my photos do make the huts seem more impressive than they are. They were clean but did not keep the wildlife out. 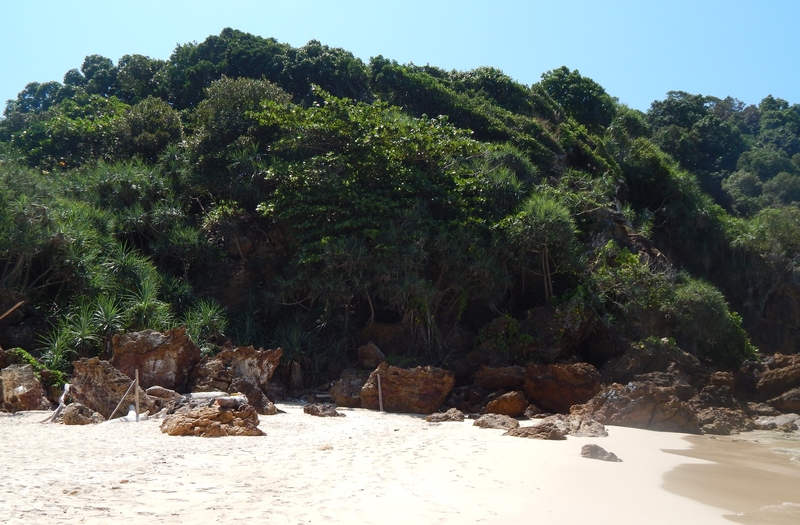 And if I visit Koh Kradan again I will definitely explore the higher end options. 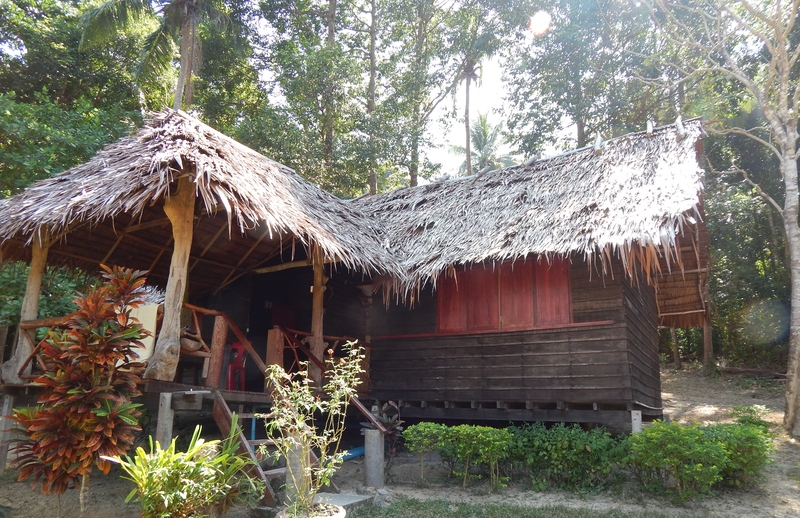 But at about 700thb a night for a hut with private bathroom, they were a good deal. And one last thing to mention, their food. People from all the other accommodation around the island come here every evening for dinner because they do the best Thai and western food by far. And it’s cheap. You can’t book online for Paradise Lost but you can google them and get the mobile number that you can text to make a booking. If you also google Koh Kradan accommodation you should be able to also check out the other places to stay on the island. So do please go and visit the island paradise of Koh Kradan but leave it how you found it so others can enjoy it too. 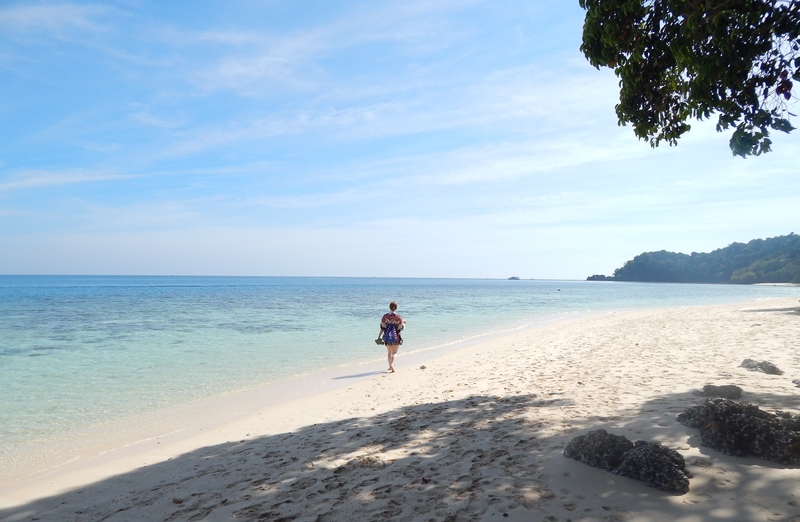 Have you ever been to Koh Kradan? Do you think there is another unknown island that is better? I’d like to hear so please leave a comment. I’am ready for new culture, faces, smell, flora , fauna , an one simple word, I’m ready for new me! I’ve been waiting for this trip for long time, travel alone has been my dream for the longest time. but now I need to be part of something different an I desired to taking off. Thank you so much for your tips, I will fallow some of your steps. I am busy in NYC, but my soul tell me …..GO! Have the best next trip ! Hi Carina, it is paradise isn’t it I am very envious of you being there right now 🙂 If you stand at the main beach where the boats drop off facing the sea, then walk left around the beach for about 5 minutes you will see the massage lady there on your left just set off from the beach behind a few trees. It is the best location I have ever had a massage! Truely serene. Enjoy! Thanks very much for your blog about Ko Krandan. I am going there in February this year, I wonder if you can help me with some extra information. Is it safe in the island? Did you book your returned ferry to mainland before your travel? How many ferries per day to island? I will arrive Trang by train and in case the train will delay, I wonder if other agencies also arrange ferry to the island. Is it easy to get food or drinking water in the island? I know there are a few restaurants in the island, but I suppose the food will be expensive? Do you think it’s good idea to bring own drinking water to the island? Many thanks for your help. Thanks for all the info, I have been past Kradan on the ferry many times but never stayed. 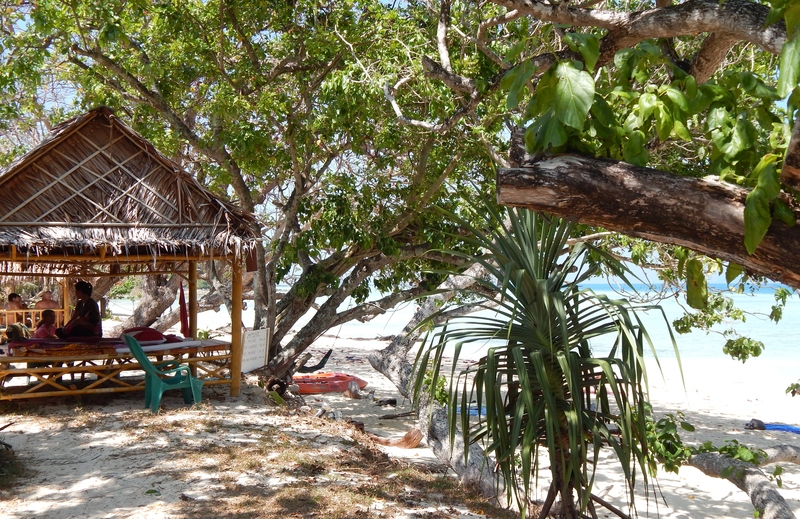 However, this February (around the 20th depending on how long we stay on Koh Lipe) we plan to spend 3 or 4 nights there. We haven’t booked any accommodation in advance, do you think we are likely to find anything? I really don’t like making advance bookings as I never know how long I will want to stay! Hi Sarah, lucky you visiting there! I’d usually say if you’re not fussy about where you stay and how long for, and have a flexible budget (as in can pay high end if that’s the only thing left) then I reckon you could find something there however Feb is THE busiest month on the island due to the annual underwater weddings they run there every February around valentines so it may be harder to find accommodation then. Hope that’s helpful, enjoy. Going over next week with my husband and two kids. We are staying in higher end place – but are snakes and spiders and scorpions something I need to overly worry about safety wise? Hi Lara, lucky you guys heading over there! If it is high end I am sure the accomodation itself will be clean and keep the creatures out! However when walking around the island yes there is a chance of snakes, spiders and scorpions etc as it is a less-commercial place. But just ask the kids to keep to the paths and keep an eye out and I am sure it will be fine. We did not have any interaction with these creatures but someone eating at the same place as us one night got bitten when we were there but were fine. Enjoy and please do not worry, it is a fantastic place!